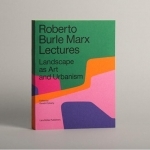 Roberto Burle Marx Lectures：Landscape as Art and Urbanism is edited by Gareth Doherty, assistant professor of landscape architecture and senior research associate at the Harvard University Graduate School of Design, where he is also director of the Master in Landscape Architecture Program. To study Roberto Burle Marx is to study landscapes. 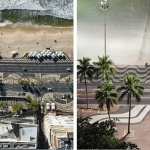 From Gareth Doherty’s study of his speech, we can see the landscape in the dimension of Burle Marx’s thoughts and the multidirectional, compound depth of field. Roberto Burle Marx said: “a good garden must be a work of art, contrast, structure. Scale and proportion are important principles. But first he has to have minds. 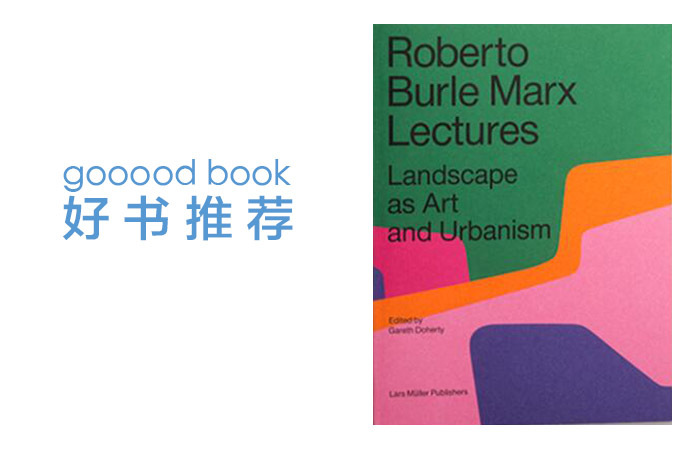 “Roberto Burle Marx Lectures: Landscape as Art and Urbanism”, edited by Gareth Doherty, is an idea creation from the beginning. Editing is another way for him to write papers, or they are in the same dimension. 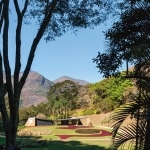 Roberto Burle Marx Lectures is not only to sort, explain and interpret Burle Marx’s ideas, but also a necessary participation in the landscape creation and practice. 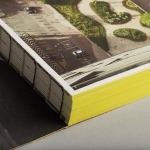 In this sense, this book is not only a book, but also a landscape practice, or a landscape design on paper or information. The unrealized research is highly consistent with the implemented program. In the field of landscape, Gareth Doherty is not only a scholar in the field of landscape, but also a “scholar landscape architect”, who brings numerous new starting points and directions for landscape architects to put into practice. All of his research and thinking methods are components of realized projects, and break through the possible “deferred birth” of harsh reality. Roberto Burle Marx(1909-1994) is one of the most important landscape architects in the history of landscape. His unique and acclaimed work of landscape as art and urbanism is featured and referenced in many sources, but Burle Marx’s own words are rarely published. This is Gareth Doherty’s unique point of view in writing the book. In common themes, he takes the perspective bias into account. Burle Marx’s speeches have not a fixed mode, he has a wide range of knowledge of multiple fields, with uncertainty and real-time performance. His speech and his process of landscape sketches is a reflection of the synchronous thinking track. 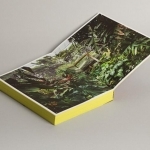 In the book, Gareth Doherty classes, combs and formulates Burle Marx’s flowing intellectual trajectory, offering the landscape industry an opportunity to capture Burle Marx’s thought inspirations. Gareth Doherty’s editing of the speeches and designs allows us to see “the structure of Cezanne as an apple”, and I are often heavily obscured by Burle Marx’s speech. Sometimes, impromptu speech is the manuscript of the designer, the speeches let us get into the Burle Marx’s specific creative landscape context, in the form of “experience” (embodied reenactment), trying to grasp the whole process of mind. The study and inquiry of speech will raise unexpected questions about the original works in the reality of Burle Marx, and have a greater discovery and exploration of the once “covered things” and the original motive in the original works. The need of authenticity plays an indispensable role in the correction of landscape history. Even an onset of a sudden idea in Burle Marx’s speech is almost always associated with a clear thunderbolt, the shapes that record and convey their unmistakable presence in a flash are natural and social induced matters. Gareth Doherty’s editing of speeches takes time back to the moment when Burle Marx was thinking, and seems to take the reader back to the moment when he was listening to a lecture. His essay edit corresponds to anything in the real world. 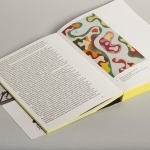 In the book, Gareth Doherty ingeniously presents Burle Marx’s notes of speech as pages for continuous reading, rather than as illustrations, giving an exhaustive account of the actual thought process. The lectures paint a portrait of Burle Marx’s soul – not just as a gardener, artist or botanist, but as a landscape architect whose aspirations have brought fundamental changes to the city and society. 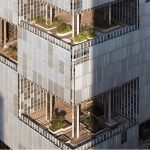 In the book, the design manuscript was also edited. Research manuscript is the concealment in western art history, and in the history of landscape or architectural history, manuscripts, often as an architect’s first show, and even the architect is keen on the authenticity of the manuscript in a fit of externalization into reality in the building. Frank Gehry’s cursive design manuscripts, which looked mess, incoherent, and even unexplainable, has more unpredictability and unknowable idea than many accidental art manuscript. A lot of people can not find direction after watching his sketches, but also a lot of people worship them as works of genius, a kind of visual methodology that can’t be imitated. Gareth Doherty accentuates this inimitable thinking methodology by intertextuality of two kinds of behavior: speech and design. 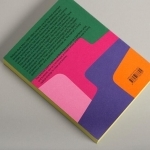 One of the lessons Gareth Doherty brings us in this book is that Burle Marx’s speech uncertainty is the same as his speech uncertainty about color relations. The relation between Burle Marx and color can start from his overall creation mechanism. Nature’s uncertainty is precisely what inspired Burle Marx’s creativity. “There is no such thing as a perfect work,” he once said. “there is always uncertainty in a work of art. “Burle Marx integrated the unpredictability of nature into his design works, creating an ever-changing “beauty of imperfection,” as Adam Zagajewski said, “to praise this broken world. 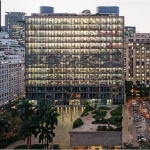 “In the relationship of color, Burle Marx also emphasizes changes. He would use contrasting colors to create emotions, and continuously let the garden stimulate emotions. In his works, the single color of large area is an important factor for impact. He built complex plant communities in the garden and expressed the complex color relationship. He used large amounts of the same plant to form large areas of color, as on the ground rather than on canvas, through the use of plants to display color of the site spirit. Tiling an abstract pattern with black, white and brown mosaics as a pavement is a way to aggregate colors. His color relations can create the space and psychological space. It’s hard to live without emotion. In his lecture, Gareth Doherty noted that Burle Marx’s personal preference was to use trees with sloping trunks to lay out gardens. This creates a dialogue between shadow and wind. 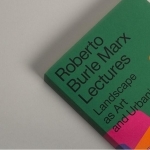 Roberto Burle Marx Lectures this book contains more than ten Burle Marx Lectures, most of which have never translated into English before, filling this vacancy. In the international lecture tour, they discussed the concept of landscape composition, landscape and ecology, and landscape lighting. Burle Marx emphasizes modeling art, spatial organization, focusing on color and plane composition, and diversity of plants. He himself is not affected by the so-called regionalism, style, culture, ecologism, greenway and landscape urbanism that are all popular in contemporary China. He is purely based on simple design. 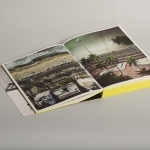 The publication of the book reveals Burle Marx’s unique ethical and landscape aesthetics, as “the real art of life” (the real art in living), while Gareth Doherty’s edit helps us open Burle Marx’s point on the folding surface, that is, the landscape of bionics has passed, and the natural plants in the landscape began to imitate human life, challenging the limit of landscape architecture thinking.